What's better than listening to your favorite music? Cranking those tunes on the best wireless speaker for your own preferences and situation. For some people, that means a versatile multiroom system that fills your home with music from basement to attic. For others, it's a rugged and waterproof portable you can take to a beach or park. And for many of us, perfection in a wireless speaker is benchmark sound quality at an affordable price. And whether you prefer Sinatra or Bruno Mars, you've never had more or better choices in wireless speakers. But which model should you choose? That's where Consumer Reports comes in. Our testers select the most promising models in a variety of shapes, sizes, and price ranges, and put them through our rigorous standardized testing program. We test them for ease of use and versatility, but most of all for sound quality. Here are five impressive models, each ideal for a specific use or listener. Speakers are all about sound. That's why our testing protocol places more emphasis on sound quality than any other single factor. 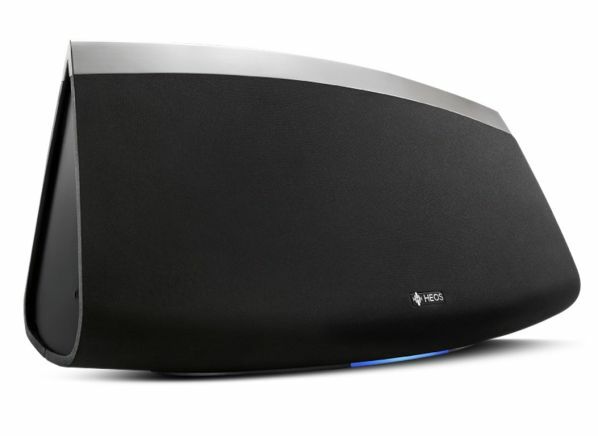 And, the Edifier S1000DB simply sounds better than any other wireless speaker in our ratings. 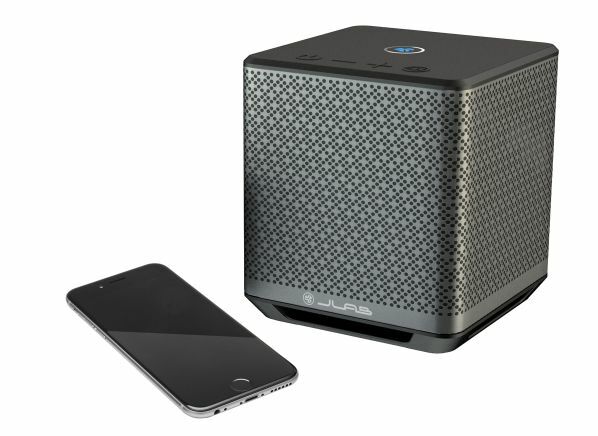 This modestly priced Bluetooth speaker system, sold in a stereo pair, brings it when it comes to sonics. The Edifier features smooth trebles that aren't jarring but still let you hear the delicate shimmer of a cymbal and musical low frequencies that allow you to differentiate between an acoustic doghouse bass and a Fender Jazz bass cranking through an Ampeg amp. The all-important midrange, where most vocals and solo instruments live, is free of the distortions and colorations that can make lesser speakers fatiguing to listen to. And with its classic stereo configuration, the Edifier provides a truly convincing illusion that the musicians are in the room with you. Want to try it? Listen to Pink Floyd's epic "Dark Side of the Moon" on the Eds. The Edifier doesn't offer multiroom functionality like models from Sonos and Denon, but it does provide a full array of connections from wireless Bluetooth to optical inputs and old-school RCA jacks. Most of all, the Edifier is likely to impress with stellar sound. One of the coolest things you can do with today's wireless speakers is to build a versatile multiroom system that allows you to hear different music in rooms throughout your house. Not too long ago that was the province of expensive, custom installations with miles of wire snaked through drywall. But now you can just buy some speakers, run a setup program, and, bam, you're living in Rock-and-Roll Future. Sonos has been the dominant player in the wireless multiroom market, with good reason. But the Denon HEOS 7 is a worthy competitor that can form the basis of an equally robust and flexible multiroom system—with some added versatility that the Sonos can't match. Unlike the Sonos, the HEOS 7 features a Bluetooth connection that allows users to, say, quickly pair a guest's smartphone to share a playlist during an impromptu listening session. One of the smaller models in the HEOS system—the HEOS 1, can accept an optional battery pack, which also adds a modest level of waterproofing. This allows the HEOS to be used outdoors, something you can't do with a speaker from Sonos' Play line. Sonically, the HEOS 7 is a winner. It pumps out more than enough volume to fill a room. The bass is deep and you can hear all the detail in the trebles. And the HEOS 7 does a credible job of re-creating the ambiance of the room in which the music was recorded. Do you already own a Sonos speaker? If so, you might seriously consider adding the Sonos Play:1 to your music system. Sonos has been a leader when it comes to multroom speakers and the Play:1 is the company's most affordable model. You can add it seamlessly to your existing Sonos speakers or make it the centerpiece of a Sonos system you start from scratch. Our testers found the Play:1's WiFi setup to be straightforward and the Sonos smartphone app easy to use. 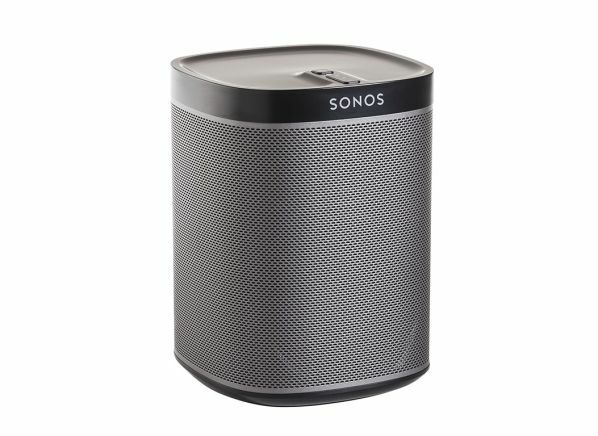 However, like other Sonos models, the Play:1 doesn't support Bluetooth pairing. Sonically, there's a lot to like about the small Sonos. The bass doesn't go deep, but what is there is clear and impactful. The sonic signature emphasizes the trebles just a bit, but not so much as to be annoying. Adding a second Play:1 to form a stereo pair improves the sound considerably, rendering the Sonos mini-system "more detailed, complex, and open," according to our testers. Good things come in small packages. That's the story behind the JLab Block Party. With a sleek silver exterior wrapping a tiny six-inch cube, the Block Party makes an impressive style statement. It can work in more casual settings, but it's also elegant enough for a living room or an office. Note that JLab claims that the Block Party is splashproof but not waterproof, so it's best kept away from the edge of the pool. Don't be fooled by the Block Party's diminutive size; the tiny box can pump out a surprising amount of sound. Our testers found that its bass had good impact, especially considering its size, while trebles were clear and detailed. Given the speaker's modest dimensions and its $150 price, you could also buy several Block Parties and sync them to blanket your room with sound. The JBL Flip 4 is a bargain. It lists for $100 while its street price comes in at significantly less. 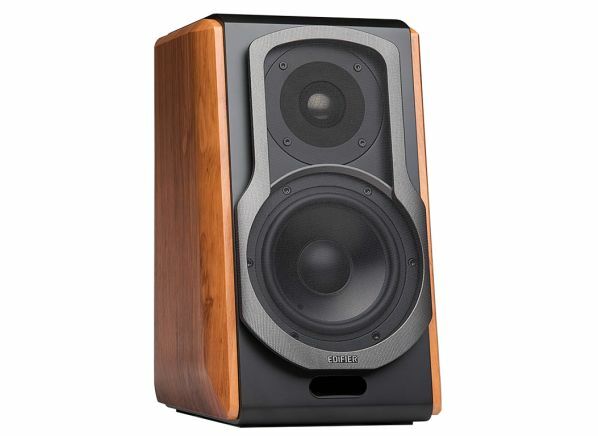 Don't be fooled by the low price—the JBL is a lot of speaker for the money. Its classic cylindrical design takes up relatively little space in a beach bag or on a picnic table. And the Flip 4 comes in six fun colors, all the better to color-coordinate with your favorite sunglasses. The company claims a battery life of up to 12 hours, and the Flip 4's claimed IPX7 waterproofness rating means that it can survive being fully submerged, which makes it perfect for the beach, or any outdoor setting where a shower is a possibility. Compared with the best-sounding speakers we've tested, the Flip 4 has a few shortcomings, with bass that's a bit boomy and trebles that are somewhat subdued. 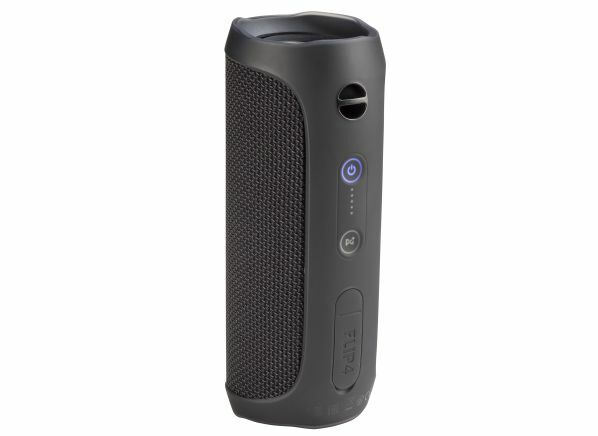 But when played outdoors and in other casual environments where a speaker like this works best, the Flip 4's largely forgiving sonic signature encourages you to play tunes one right after the other.